They were probably looking forward to this festival! traditional festival dance music called Kawachi-ondo. 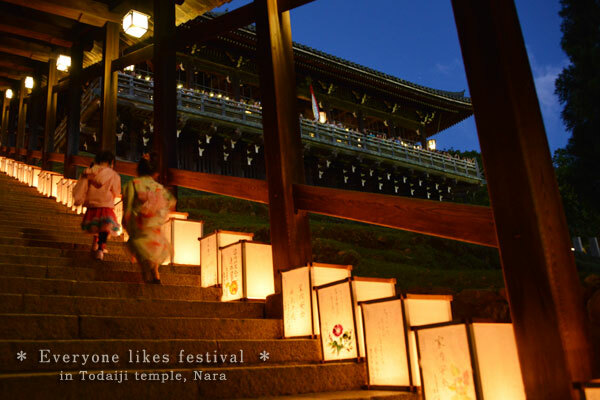 Taken on Jushichiya festival (the 17th night) of Nigatsu-do Hall, Todaiji-temple.